Wait, what?? 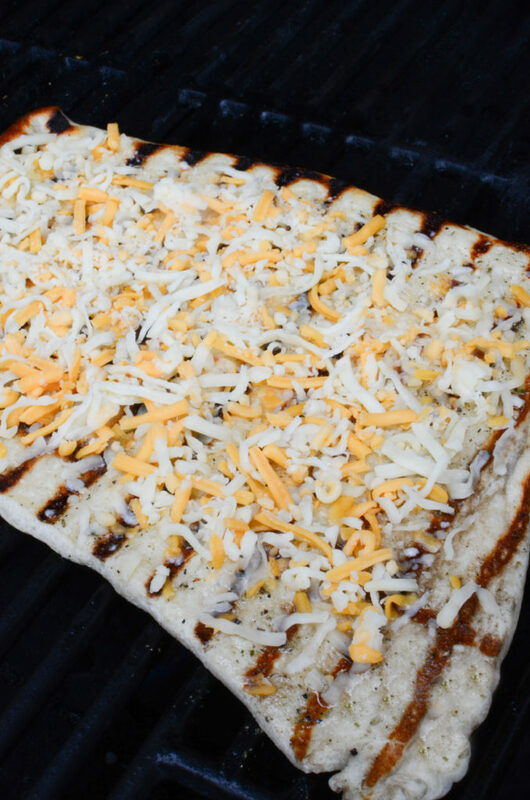 GRILLED flatbread pizza? Yes. Just yes. First, let me say, wholy moley, do I love pizza!! I think it’s almost one of the most favourite meals on the planet. Do you agree? 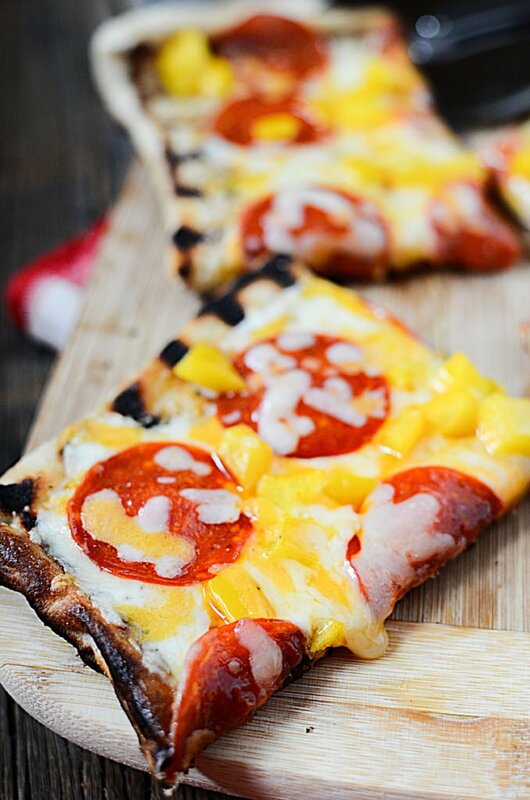 How about pepperoni pizza? Classic right? Thick crust? 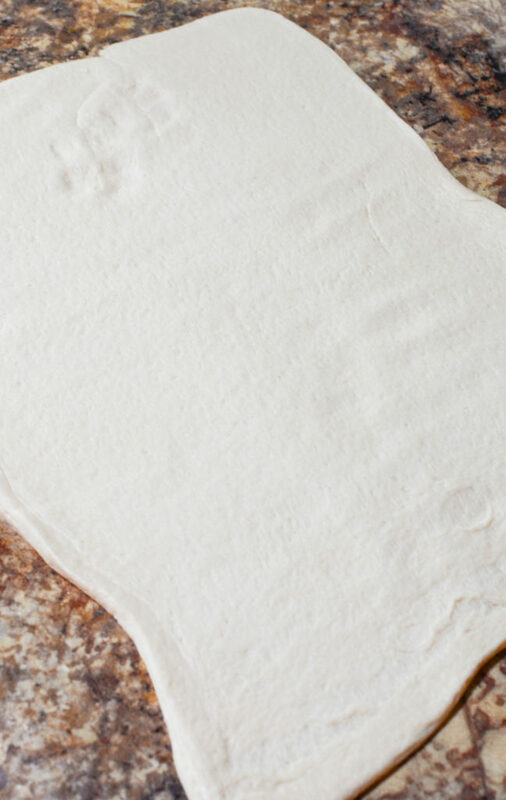 Thin crust? I crave a nice thick crispy crust sometimes. Crispy on the bottom, soft and chewy on the inside, but you know, a crispy, flatbread pizza is amazing as well. And the pepperoni HAS to be cooked on the very top so that it gets crispy. Yaaaassss!! 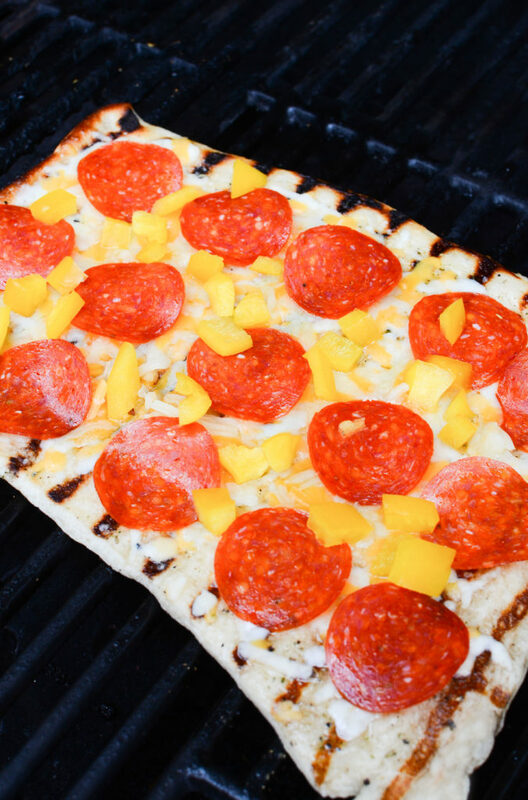 Pizza on the grill though? It’s super simple folks. 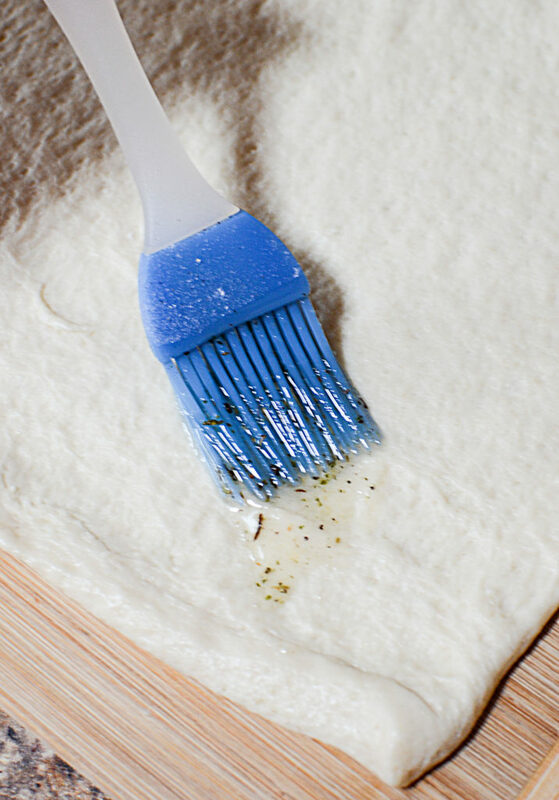 You could make your pizza dough if you want, which would be even cheaper than buying the ready-made stuff and honestly, I’d have probably done that if I had the energy of a 6-year-old that day, but I didn’t, and I happened to have ready-made Pillsbury pizza dough all ready in the fridge, and so it just made my life so much easier in the moment. Take out the dough from the tube (scary jack in the box type moment! ), and roll it out. Throw it on the grill seasoned side down. You’ll want it preheated to about medium, or 350. Place it right on the racks, and don’t try to move it till it’s ready. 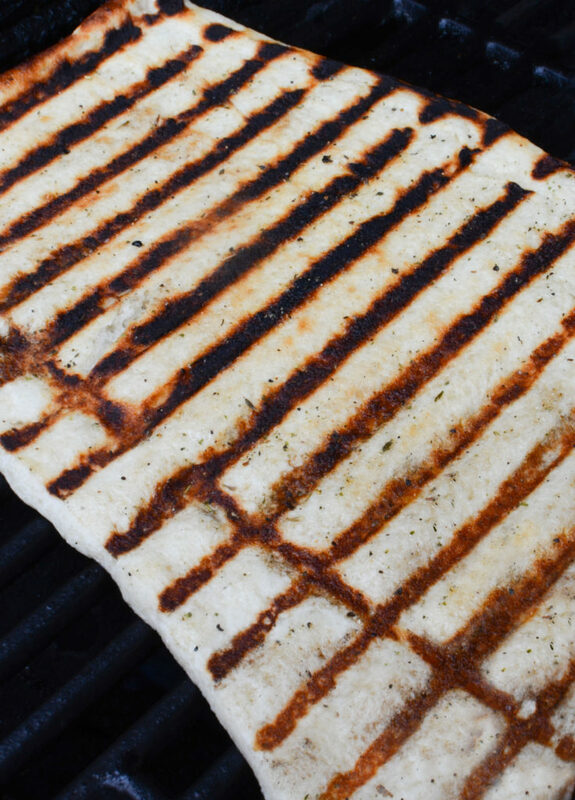 When you see the grill marks underneath (with a spatula) then simply flip it over and start topping! I used pepperoni and cheese.. but honestly, top to your heart’s delight! Use what you have in the fridge! Cooked beef and onion? sure! Veggie? Sure! Sardines and ketchup?…. Ok,.. sure! 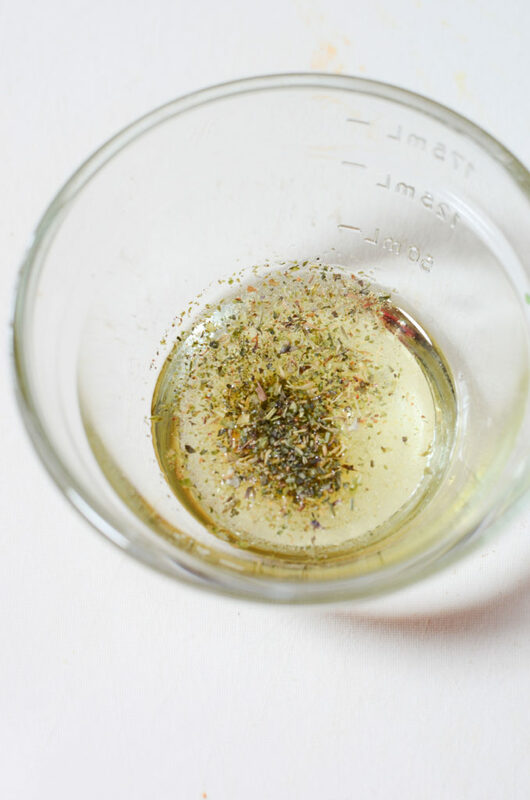 The point is that this is really versatile, and let’s be honest here… you could sprinkle crushed leaves and road gravel on it and put tons of melted ooey-gooey cheese on it and it’ll taste like a million bucks. 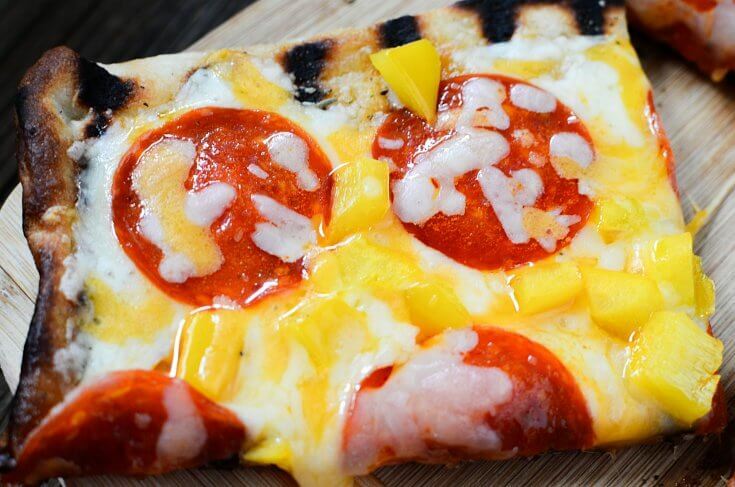 So give this grilled pizza a try. I’d LOVE to hear what you put on it!! .. and if you take any photos, PLEASE send them! I’d be thrilled to see your creations!! 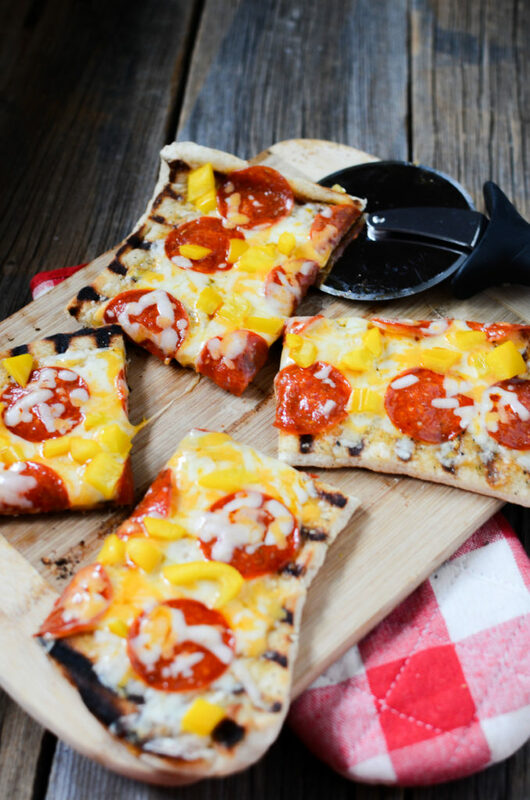 A super yummy and easy pizza to make on the grill! 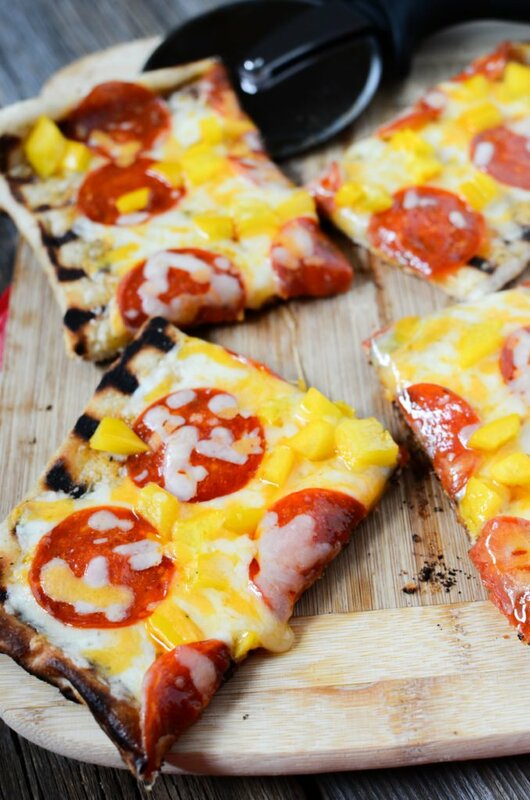 « 16 SCANDALOUS CHEESY CHICKEN RECIPES!! !